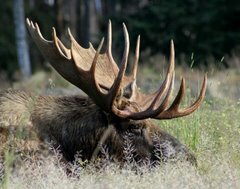 Moose Tracks: "Big Business" Now Good! When a state completely slips to Fascism, good becomes evil and evil becomes good. "Wall Street" and "Big Business" have been synonymous with "evil" for the left for over 100 years -- but suddenly they are GOOD! since they are supporting Hildebeast. In reality, "Big Business" has been pretty much wholly owned by "The Party" (TP-D) since WWII. FDR parlayed nasty rhetoric about "big business" and the "malefactors of great wealth" into sweetheart defense deals that lined the pockets of wealth, and for the time since, business and wall street have laughed all the way to bank as TP has castigated them, yet still gladly accepted their campaign contributions. 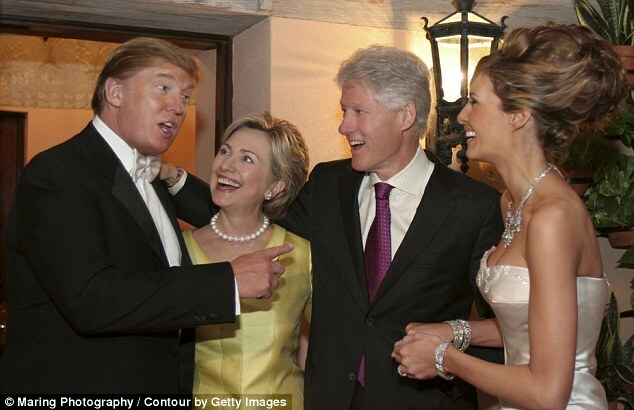 It's a chummy club that both Trump and Hildebeast have been part of for decades. Has Trump decided that he cares more about America than just continuing his "good life" all the way to the grave? Who knows. We CERTAINLY know Hildebeast's agenda however! The fact that Trump is hated as much as he now is by the establishment in both parties and the media is the only positive sign we have that he MAY have decided that the 1% pool is too fouled even for him! Sure, that is a THIN reed of hope, but in BOistan, that is as good as it gets!